A hidden gem in the heart of Kensington, Launceston Place boasts wide acclaim for its intricately crafted Modern European cuisine. In 2013, Launceston Place’s ‘Notable Wine List’ AA award was 1 of only 7 awarded to London restaurants that year. 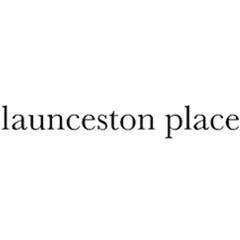 One of London&#39;s most exciting chefs, Ben Murphy brings a visionary approach to the Launceston Place menu. An elegantly understated setting, the dining room at Launceston Place in London features light grey walls and plush banquette leather seating.